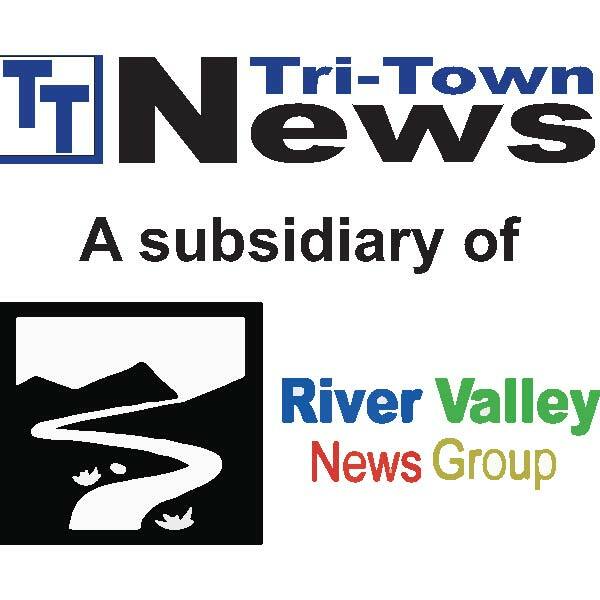 Submit an Article – Tri-Town News – Sidney, N.Y.
An article can be edited by our staff. It can include a photo, but not artwork like logos or symbols. It cannot include prices. We use the articles first for things that are coming up in the next week. If something has already happened, we use the article as space is available. A smaller article may get in before a longer article because space is easier to find for it. It cannot be obscene, stolen from a website, book or another person. We do not print articles that are used for mudslinging or bad-mouthing an institution, business or person. All articles must be received by Monday at 4 p.m. or they will not get in that week’s issue. We love to receive articles from our area schools, businesses and families. There is never a charge for news. Obituaries, engagements and wedding announcements are free. Obituaries must be submitted directly by funeral parlors; we cannot accept obituary submissions from individual family members. If you aren’t sure whether information you have is suitable for a news article, call and talk to our editorial staff at 607-561-3526. Articles must be in our hands by Monday at 4 p.m. Our papers are put together and printed on Tuesday. Some papers reach the newsstand on Wednesday afternoon, but most are out to newsstands and subscribers on Thursdays. Please do not send articles about events happening on a Wednesday morning to us on the Monday of the week it happens. No one will see the information in time. Articles are put in the paper on a space available basis. If there is an article about something coming up it will go in the paper before an article about something that has already gone by. Local events have precedence over events out of the area. Handwritten article submissions are at a greater risk of not making publication due to the lengthier processing time they require. Letters to the editor must be signed and include your address and phone number. We encourage you to e-mail articles and pictures to ttnews@tritownnews.com. We do not have roving reporters, so we rely on you to send us up to date information about your events and news items. You may also drop off articles at our office at 85 Main St., Sidney or mail them to PO Box 208, Sidney, NY 13838. We can accept files that were typed in Microsoft Word or WordPerfect that has been saved as RTF, but prefer Microsoft Word documents whenever possible. Do not send us Publisher or PrintShop files. If you have a different word processor you can save your article as an “RTF” file and we will be able to open it. If you are in doubt type your article directly into your e-mail and we’ll take it from there. Please do not type articles in all uppercase. It makes it extremely difficult to read, especially names like “DeLuca” or “VanDevort” or “Vandevort” If you are sending us lists, such as class lists or honor rolls, we prefer them with first names first, followed by last names. Letters to the Editor are appreciated. However, because of space and subject considerations we are limited in the number of letters we can publish. Our long standing policy is that we do not publish letters that are printed free of charge on the editorial page supporting or in opposition to any candidate seeking public office or any item up for public vote in the last issue before the vote. Only paid ads can be accepted. All letters must be signed and represent the opinion of the letter writer and not necessarily that of the newspaper. The deadline for submitting a Letter to the Editor is Monday at 4 p.m. of the current week. If you have pictures to include with an article, please attach the digital photo separately to your e-mail and don’t put it in your Word file first. The picture quality will be better if it is sent separately. E-mail pictures may be in JPEG or TIF format, in color or in black and white. We prefer color. Photographs from digital cameras are fine. If you name the photo for the event or person pictured it makes it much easier to keep track of as we process your photo and article. We also accept regular photographs, and will return them to you if you include a self-addressed and stamped envelope with your article. Please write your name and address on the back of the photo as well. Captions can be on a separate sheet paper-clipped to your photo. To submit information about a new business download the form below, fill it out and drop it off at our offices or mail it to Tri-Town News, PO Box 208, Sidney, NY 13838. Wedding and engagement announcements are accepted free of charge, but we reserve the right to edit them and do not guarantee a specific publication date. Articles must be signed with a contact name, phone number or e-mail address. Normally the couple or their parents send the announcement to ttnews@tritownnews.com Articles should be typed in Microsoft Word or copied into the e-mail. Engagement articles should include the couple’s names, parents’ names, who’s announcing the engagement, wedding date if available and, if wanted, a short background on the couple: where they went to school, how they met and where they work now. Wedding announcements should include the full name of the bride and groom and where they live (town and state), bride’s and groom’s parents’ names and where they live (town and state), date of the wedding, where the wedding was held, attendants’ names and where the bride and groom will be living. The announcement can also include a brief background on the bride and groom, where they went on their honeymoon, wedding details such as colors and dress styles, etc. Photos can be included with either an engagement or wedding announcement in black and white or color. The photo should be a tif or jpg of at least 200 dpi. Engagement pictures are usually 1 column wide (1 5/8”) and wedding photos are 2 columns (3 3/8”) wide. The photos will be black and white in the printed paper, but will appear in color on the website and for our e-mail subscribers.